It's fair to say that Christopher Eccleston is one of this country's most talented actors; however his TV output in the last couple of years has been far from stellar. 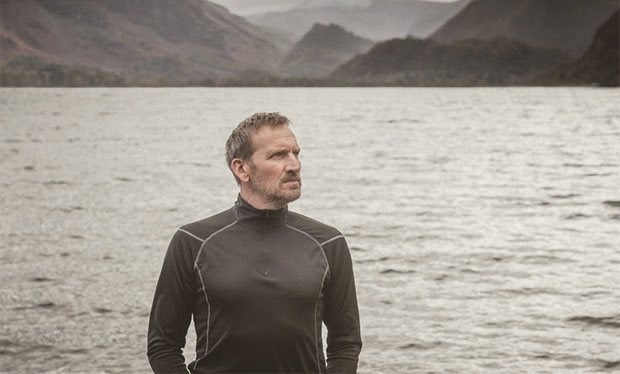 From a brief appearance in Sky Atlantic's Fortitude to the odd BBC drama Blackout, Eccleston really hasn't lit up the small screen since 2011's The Shadow Line. Tonight he returned to our screens in ITV's Safe House and proves that he's still willing to challenge himself as a performer. However the challenge he set himself in this drama was to attempt to swim Derwentwater in freezing winter climates. The results of this challenge are seen in Safe House's opening scene in which Eccleston's character Robert is furiously trying to swim away memories of the case that made him quit the police. The case in question saw him fail to protect a witness who was fatally shot and saw him wounded in the process. You'd think after that Robert would shy away from protecting witnesses but in fact he jumps at the chance to open his Lake District B&B as a safe house. 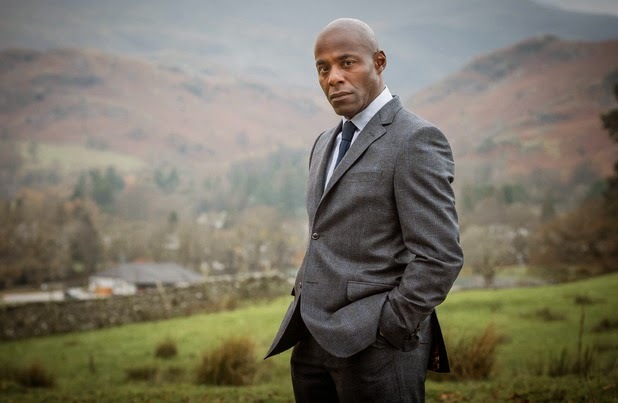 The seemingly ludicrous idea is proposed by Robert's old boss Mark (Paterson Joseph) who feels that his former colleague's talents are wasted will be wasted if he becomes a hotelier. There's also the hint that Mark has designs on Robert's wife Katy (Marsha Thomason) as we learn that he introduced the pair. Although Katy is as sceptical of the idea as we are as a viewer, it's not long before a family in need of somewhere safe and secluded to stay come knocking. The Blackwell family are clearly in some distress. A sequence on Blackpool Pleasure Beach which ends with the drama's stereotypical baddie Michael (Peter Ferdinando) abducting the Blackwell's young son Joe (Max True). It then transpires his prison officer father David (Jason Merrells) is the cause with the two getting into a fist fight which is bought to an abrupt end when a passer-by is fatally stabbed. Most of what works about Safe House can be attributed to the fine direction of Marc Evans. 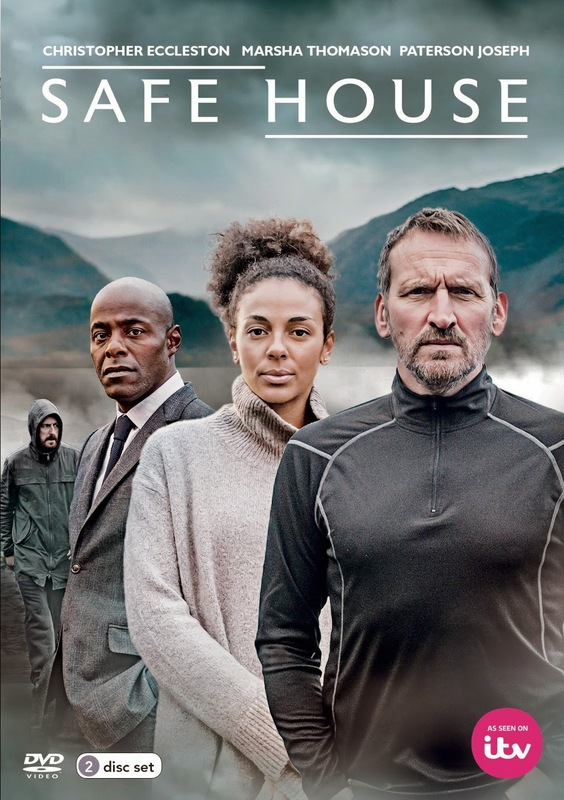 At a screening of Safe House that we recently attended, Evans revealed his intentions to present a different side of The Lake District. Instead of painting a picture postcard view of the area, Evans wanted showcase the rugged cliffs and changeable weather to reflect the mood of the piece which helps give this four-part thriller an almost horror film-esque feeling. Aside from the aforementioned cold water swimming, which he attributes to his mid-life crisis, Eccelston is believable in the lead as he's the only member of the cast who gets the chance to throw himself into his character. The former Doctor Who has certainly perfected the haunted expression of somebody wrestling with demons from his former life. The most enjoyable scenes where the ones Eccelston shared with Patterson Joseph as it was easy to believe the two as old friends. However, I think a lot of the cast had been squandered with underwritten roles that didn't allow them to flex their muscles. This is especially true of In the Flesh's Harriet Cairns who was given little to do as the Blackwell's paint by numbers stroppy teenager daughter Louisa. A lot of the blame for this poor character development can be laid at the door of writer Michael Crompton. His script made the majority of the characters feel one-dimensional. Our villain Michael was particularly clichéd. Plenty of the familiar crime drama tropes were on display here. The plethora of slow-motion shots and rather intrusive background music that only served to provide the emotion that the script and characters was sadly lacking. Annoyingly the same can be said of Crompton's last ITV outing Code of a Killer. Oddly enough, I'm not sure I agree with you about Mr Eccleston. He seems to play nothing but moody, grumpy, and hard done by. He plays it very well, but I sometimes wonder how much he's just portraying an extension of himself. I'd like to see him play a cheerful, humorous optimist for once and see if my opinion changes.